The success story continues: On the 4th of December at the Industrie- und Handelskammer (the former stock exchange building) in Frankfurt it became official that Sindelar is a winning entry in the renowned design competition Gute Gestaltung 16 (Good Design 16). The design competition is traditionally organised by the DDC (Deutscher Designer Club) and is divided in different categories. Sindelar succeeded in the Excellent Arts category and expands our trophy collection by the renowned DDC Award. I personally enjoyed the award ceremony and the pre-Christmas atmosphere in Frankfurt a lot. What a night. 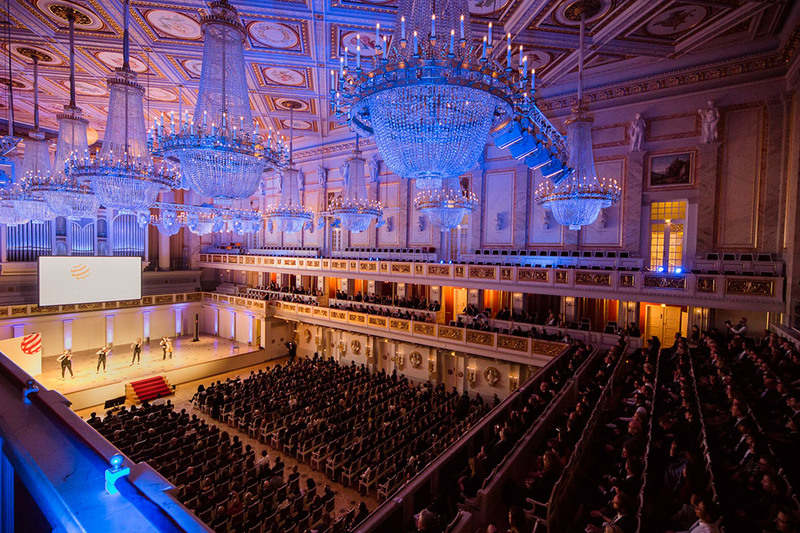 The Red Dot Gala in Berlin was a great and unforgettable experience. On the 6th of November 2015, the international creative scene celebrated the best of the best in the communication design industry. 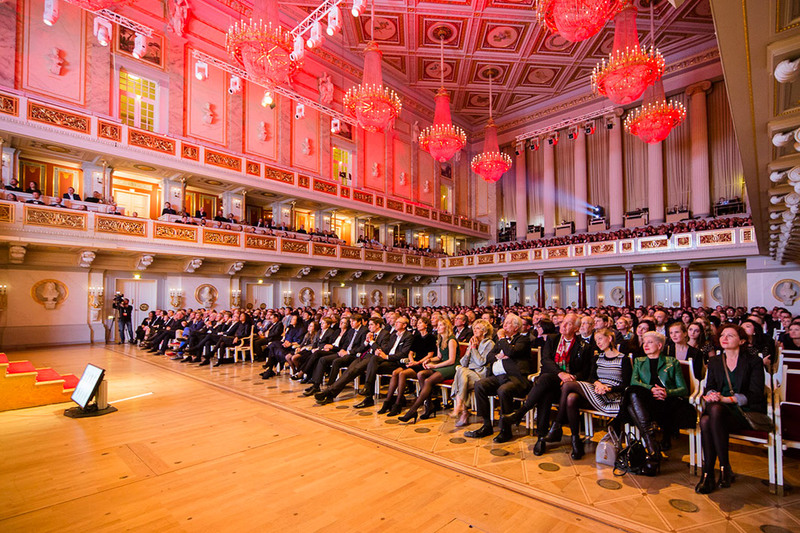 On stage at the Konzerthaus Berlin, the proud laureates of the Red Dot Award: Communication Design 2015 accepted their awards in the presence of 1,400 guests. 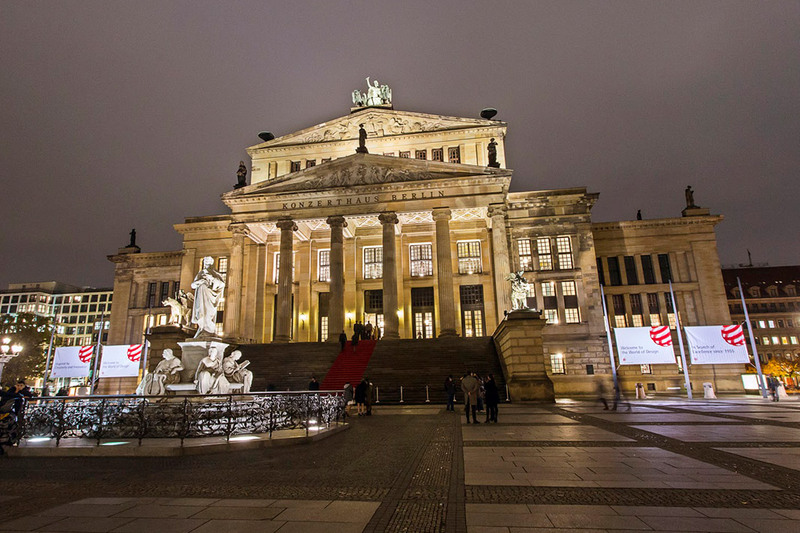 The Konzerthaus Berlin was the noble venue of the Red Dot Award Gala 2015. 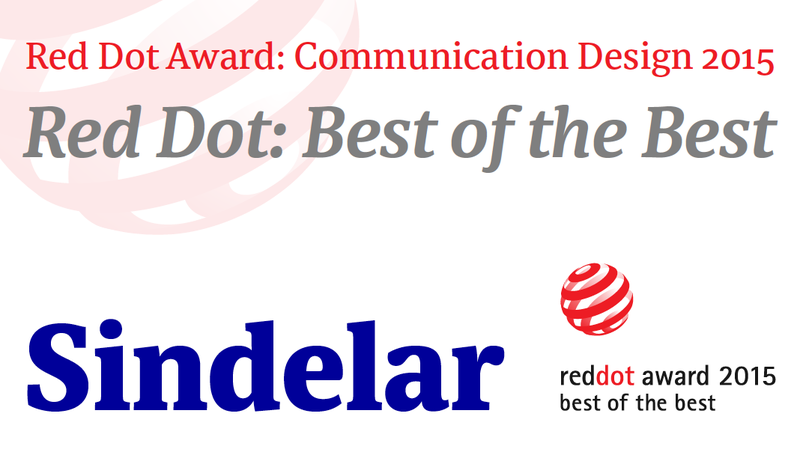 It was a great honour to receive the prestigious Red Dot Award: Best of the Best for Sindelar, the highly legible text face for news and media design. The award is a strong acknowledgement and a great motivation for designing even more font families of that outstanding quality here at Willerstorfer Font Foundry. The award ceremony was hosted by Professor Dr. Peter Zec, founder and CEO of Red Dot, who guided the audience through the evening in his charismatic and confident manner with the support of the jury members and laudatory speakers. 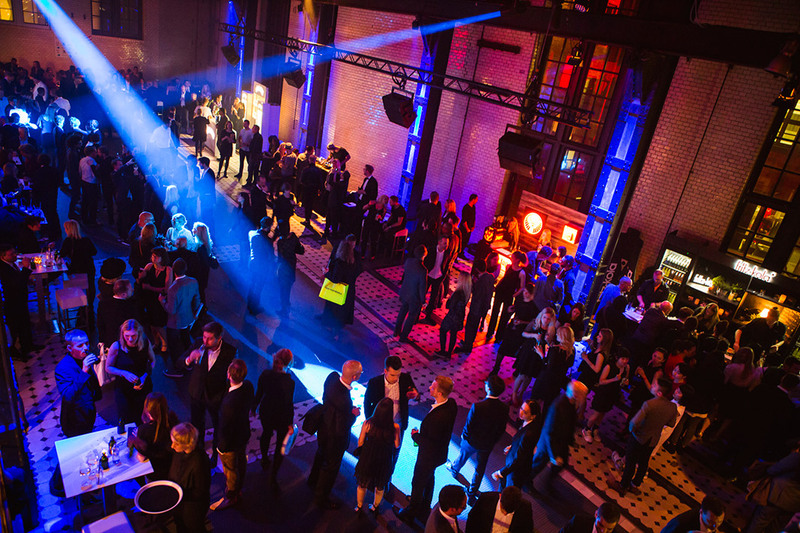 After the Red Dot Gala, the legendary Designers’ Night started in Berlin’s E-Werk. DJ Chrissi D! from the Ruhr region kept the guests on the dance floor well into the wee hours. 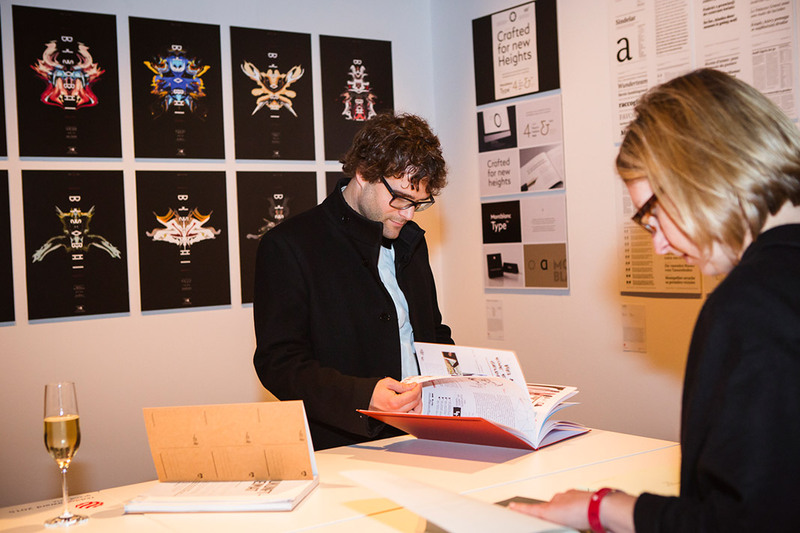 During the official after-show party, the exhibition Design on Stage was also shown, which presented award-winning communication design at an unparalleled level. 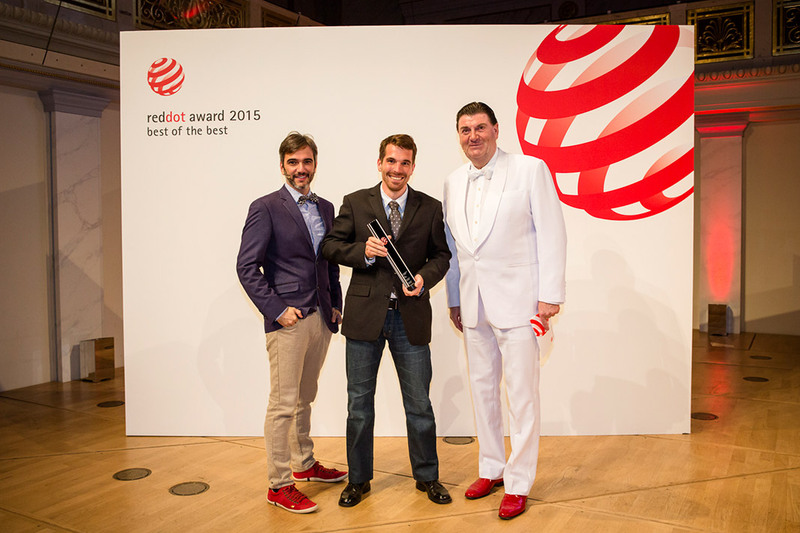 Stefan Willerstorfer receives the Red Dot Award: Best of the Best from juror Gustavo Greco and Red Dot founder Prof. Dr. Peter Zec. 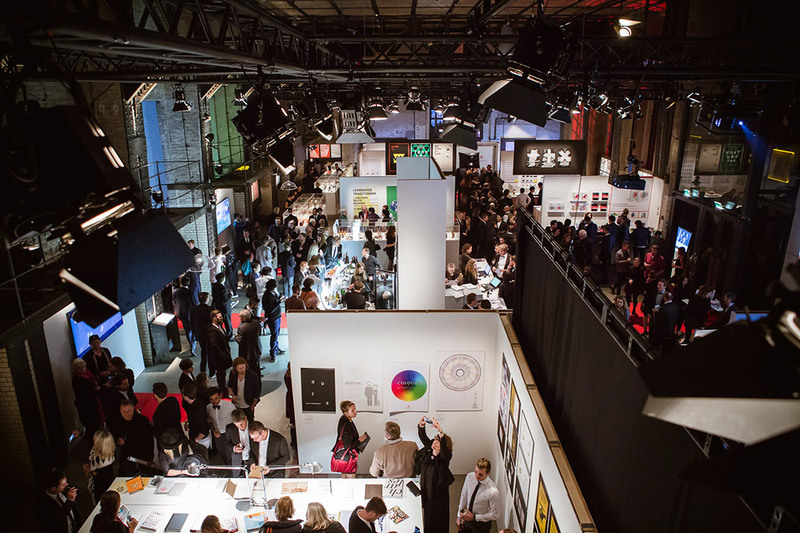 The after-show party Designers’ Night was hosted at Berlin’s E-Werk. For all those who were unable to attend, the 82 winning works by the laureates of Red Dot: Best of the Best and Red Dot: Grand Prix will be on show in the Museum für Kommunikation from the 8th of November 2015. The exhibition Best Communication Design – Red Dot Winners Selection 2015, which also presents all award-winning projects in this year’s Red Dot: Agency of the Year, will run until the 10th of January 2016. Various impressions from the Red Dot exhibition Design on Stage. The Red Dot Award and especially its premium distinction Best of the Best is one of the most respected design awards in the area of Communication Design. Winning this prestigious award for Sindelar is a great honour and a strong acknowledgement for the high quality of type design work done at Willerstorfer Font Foundry. The international Red Dot jury chose the best entries of the year from a total of 7,451 submissions from 53 countries. 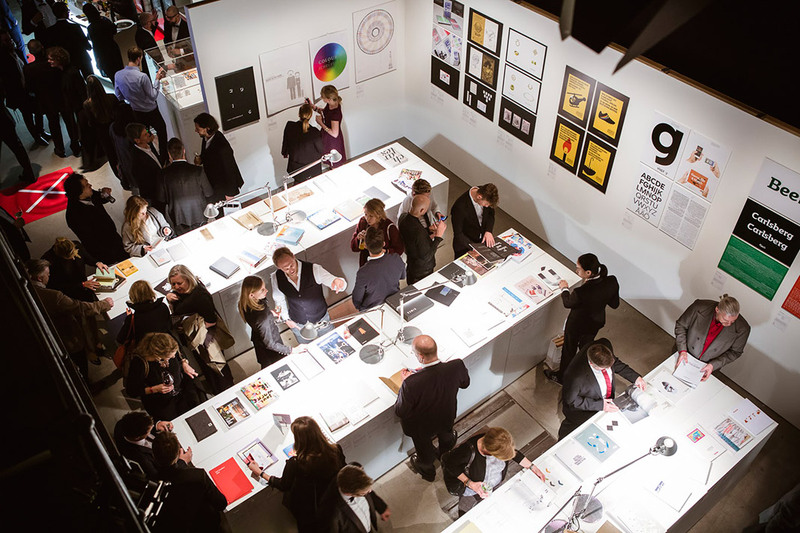 There were in total 17 categories in which designers, agencies and companies could submit their projects. This year, the wide range of categories, stretching from Corporate Design and Apps through to Social Responsibility, offered the participants numerous opportunities to demonstrate their talent. However, it is not easy to convince the international panel of experts. 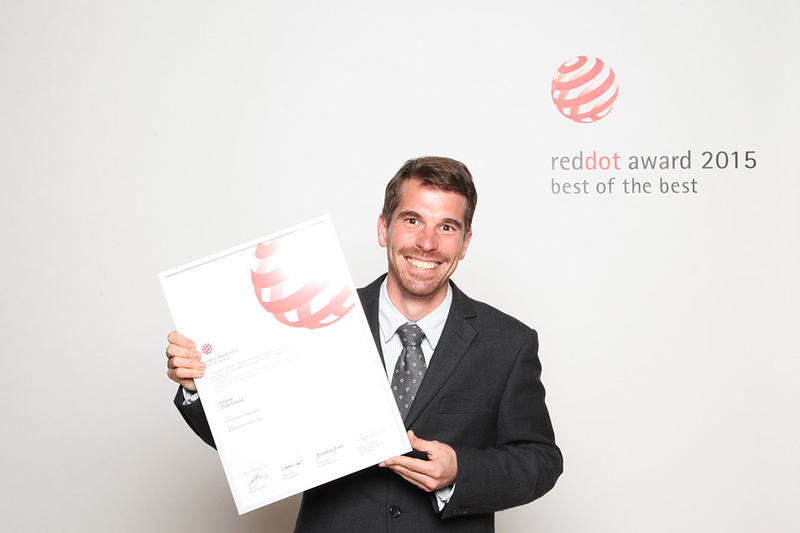 Thus, the Red Dot jury only awarded the sought-after Red Dot: Best of the Best - the recognition of the highest level of design quality - 81 times. Sindelar is among this illustrious group of premium design projects. 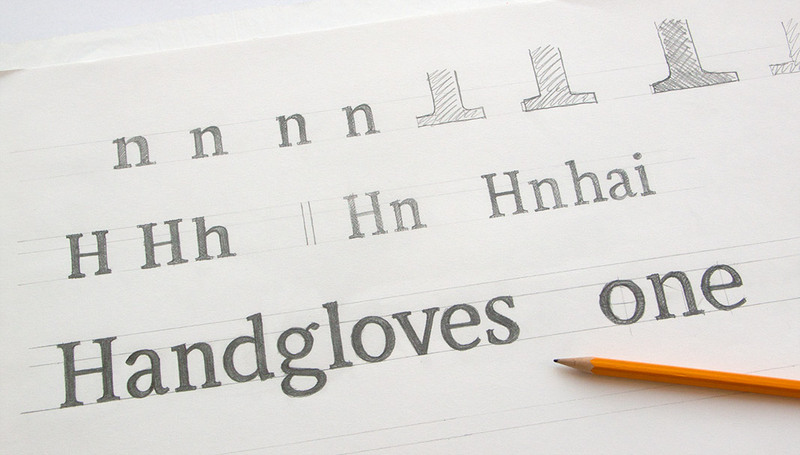 If you have not had a look at Sindelar so far, convince yourself about its qualities here. 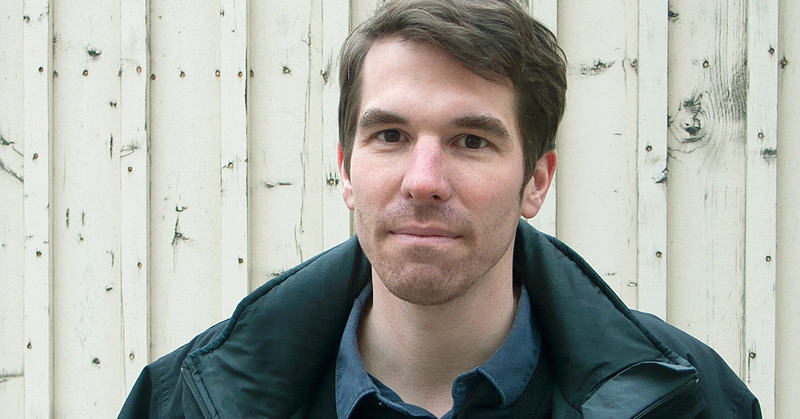 Stefan Willerstorfer wins the prestigious Red Dot Award: Best of the Best for Sindelar. 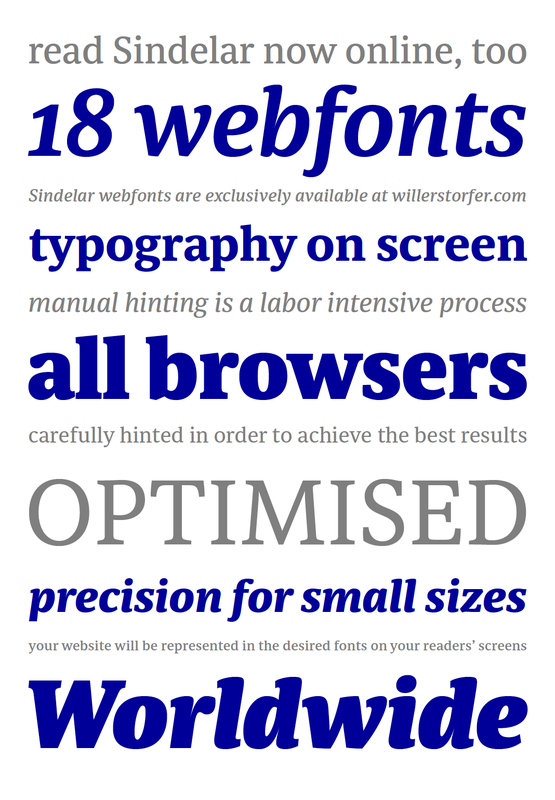 All 18 styles of Sindelar are available for web use.